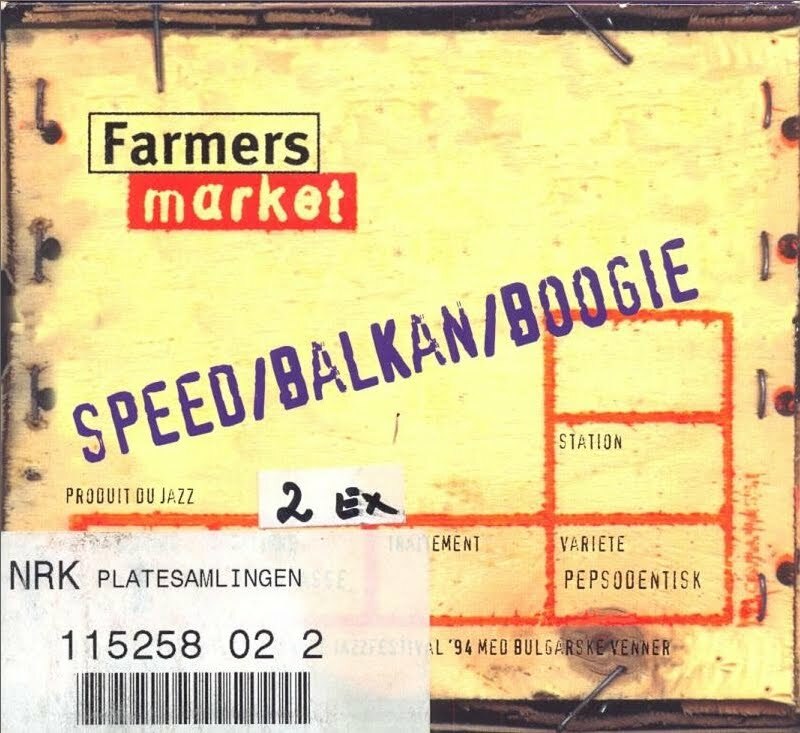 Farmers Market released their 1st CD, “Speed/Balkan/Boogie”, 28th of February ‘95. The CD is a live recording of two concerts held by Farmers Market at Molde International Jazzfestival ‘94. Farmers Market brought with them four guest-musicians from Bulgaria of which two are singers in the world renown female choir “Lés Mystére Des Voix Bulgares”, now known as “Angelite”. The music on this CD takes the audience on a trip through the odds and even more odds of Bulgarian folkmusic. All is filtered through Farmers Market’s own musical upbringing. Farmers Market thanks: Bulgarian sources of inspiration; musicians & moonshine-manufactors Molde Int. Jazzfestival ‘94; audience & promoters. Vesselina Illieva wishes to dedicate the CD to her sister.